It’s who you know. And, who the people you know know, and who they know, and so on. You might be closer than you think to getting a meeting with the decision maker at that client you’ve been trying to land, or a celebrity endorsement, or other contacts that can build your business. The first step is to identify the people you know. Do any of them have something in common with your target, the person(s) you are trying to reach? Perhaps they share an occupation, they have the same hobby or interest, they live in the same area, or they went to the same school. Or, do the people you know know someone else who has something in common with your target? They may lead you exactly where you want to go. Do you do all of your networking online? Social media interactions can be valuable, but meeting people face-to-face will always be important. Find the right group. There are many types of networking groups and each group has its own personality. Some are designed for lead exchanges and some are mastermind-style groups. These types of groups often have membership that stays the same over time. You will see the same people and develop relationships with them. Other groups are more “mix and mingle” events where the same core members will be there time after time, but there are lots of people who attend now and then. The right group for you will depend on what your goals are. Attend a few meetings of several different groups to find the one that is the best match. Follow up with the people you meet. Take a moment at the event or immediately after to jot a note on each business card you collected. Your notes might be a possible business connection, something they can do for you, something you can do for them, or just a hobby or other interest they mentioned. You will not remember all of it, so write it down. Once you choose a group, get involved. Attend as many of the meetings as you can. Get visible by volunteering or running for office. Make connections between members and others you know. Make sure people know who you are by becoming a contributing member of the group. Don’t be afraid to ask for what you need. It is important to contribute to the group, but the group is there to help you, too. When you need something, put out the word. Networking is a long-term strategy. Put your network in place and you will reap benefits for years to come. Have you heard of six degrees of separation? It is a theory that any two randomly-selected people in the world can connect with six or fewer intermediaries. That means there are only six people (or fewer) between you and anyone you want or need to meet. With the connections possible through the Internet, it often takes fewer than six connections. Of course, the trick can be figuring out who those people are. 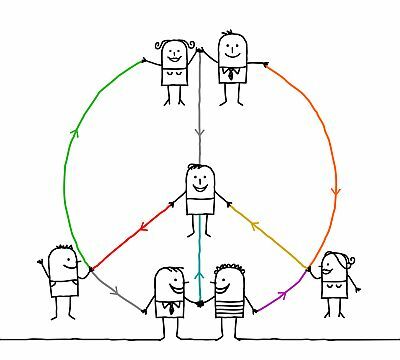 The key to making links is that each of us belongs to many communities and has friends and acquaintances who span a number of groups. Thus, it is possible to make random connections between people, but you can also use this idea to make a targeted connection. Let’s say you want to reach the CEO of a major corporation. Do you know someone who works there? Someone who is a vendor or supplier? Where did the CEO go to school—do you know anyone else who went there? Do you know someone who lives in the same town? If not, who do you know who might know someone who fits any of these categories? Let the people around you know that you are trying to reach this person. You probably don’t know everyone they know. Your friend or co-worker may have a connection you never would have imagined. I watched this work at a conference. The speaker got a few people to ask the group for help contacting someone they wanted to reach. Within moments, connections had been made to several people, including a former US president! Perhaps you are hoping for a product endorsement, a chance to get someone involved in your cause, a blurb for your book, or an appointment to do a presentation. Whatever your need, if you are creative and persistent, you can reach the people you need to reach. 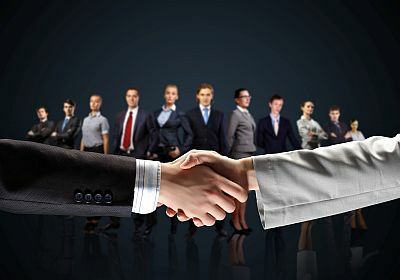 Networking is one of the best ways to get new customers, and maintain relationships with existing customers. But you have to do it effectively. Several years ago, “networking” was the hot buzzword. Everyone was talking about building their network, because this was the secret to becoming incredibly successful. Well, yes, networking is a great way to build a business, but not necessarily the way a lot of people went about it. Going to every meeting you can find, and thrusting your business cards into the hands of every person you can corner isn’t networking. To do it right, you have to be with the right groups, and make connections with the right individuals. Networking doesn’t mean having fleeting contact with as many people as you can, it means building relationships with the right people. Who should be in your network? Customers, potential customers, entrepreneurs in other fields who serve the same types of customers you do, people who can mentor you, people you can mentor, people with information you need, and maybe even your competitors. Choose a networking group based on the type of people you want to meet. Who are your best prospects—business owners, HR professionals, writers, nurses, lawyers? Participate in groups catering to them. Choose a few groups and attend regularly, rather than attending one meeting each of dozens of groups. Just as with other marketing methods, people need to see you or hear of you several times before they feel comfortable enough to do business with you. Plus, most people won’t remember you all that well if they’ve only met you once. See the same people many times, and you will become familiar. Look for relationships where you can contribute, as well as benefit. Networking is a two-way street. If you are doing all the receiving (or all the giving) it won’t last long. Practice your 10-Second Brag. You need to be able to get your message across quickly and effectively, so know how to say what you do in a short, benefit-oriented statement. Offer to speak to groups which include the people you want to reach. It’s a great way of making yourself visible and sticking in the minds of your prospects. Take on responsibilities. Become an officer. Write a column for the newsletter. Join a committee. Truly become a part of the group. And don’t just focus on formal networking groups. You can build connections any time you meet someone who is a good fit for your network. Next time you’re standing in line at the office supply store or post office, strike up a conversation. Pick up the phone and call someone you’ve only met once (or perhaps never met), someone you think you could help and could help you. 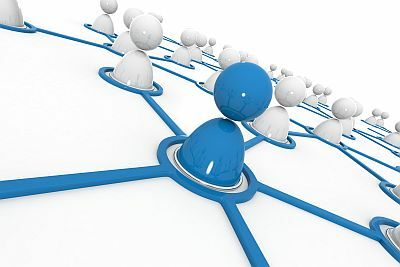 Get to know people online through Twitter, Facebook and email—they can be important members of your network. Your network can be a source of business, of friendship, of support, of information, of the things you need to build your business and lead a satisfying life. Something that important shouldn’t be done scattershot. Put thought and effort into surrounding yourself with the right people, and being an important part of their networks as well.